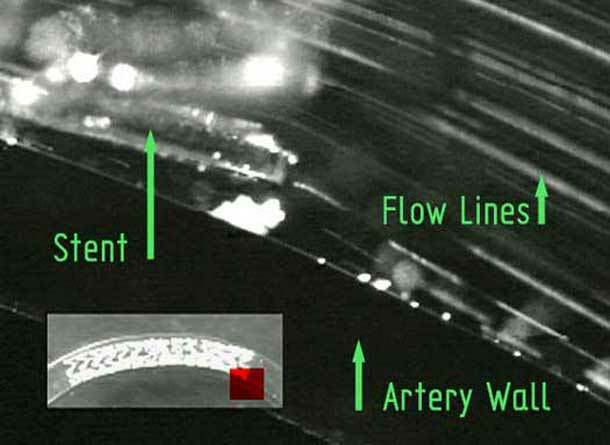 By looking at the flow through a stent, a better understanding of the reasons for restenosis can be understood. Flometrics evaluated a new type of stent under development and compared it to the market leader at the time. The first image above shows the market leading product in a transparent silicone rubber artery. The second image shows what portion of the stent is being visualized. The flow is seeded with fluorescent particles and illuminated by laser sheet light. The third image shows the flow and the stent with respect to the artery wall under pulsatile flow. 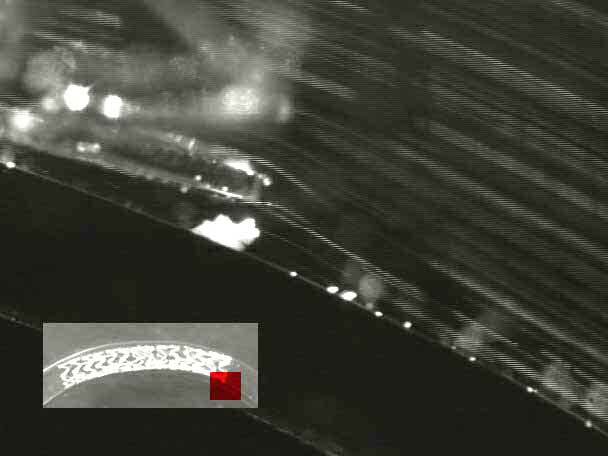 The video of the stent exit and similar flow visualization videos can be valuable when proving the efficacy of a medical device to the FDA.